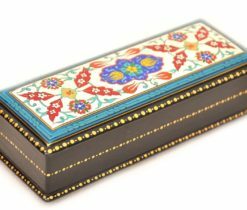 Since ancient times painted jewelry boxes were considered one of the beautiful and creative works of art, representing a kind of mystery and magic. 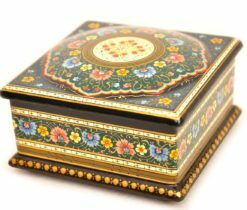 They were used mainly by women to store golden jewelry, rings, earrings, hairpins, and other small items. 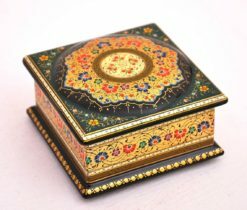 Painted jewelry boxes were used by rich and poor people alike, because they were generally available depending on the material being used. 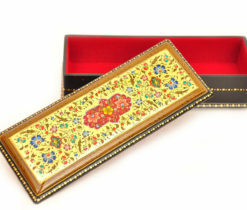 And nowadays jewelry boxes are not only necessary items of girls' personal wardrobes, but also wonderful unique gifts that will please any girl and will last for many years. 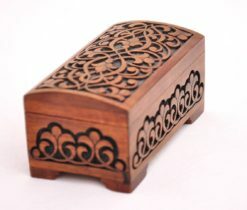 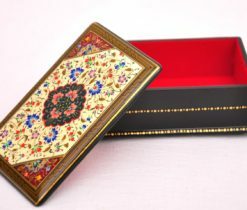 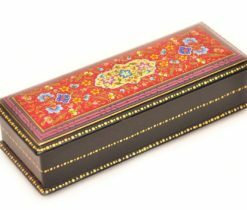 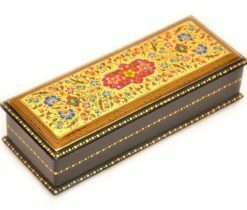 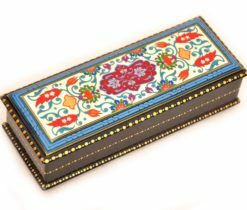 We offer you a wide range of unique oriental boxes, with which you will plunge into the magic of oriental charm and beauty. 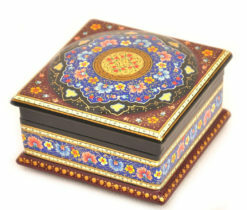 Today, boxes of different shapes, sizes and raw materials are manufactured in the world. 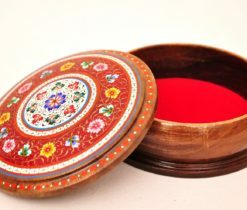 For example, wood, plastic, cardboard, or paper-mache is used as a raw material. 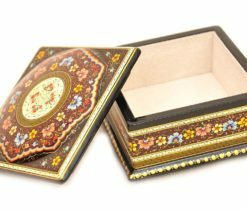 Paper-mache is an easily moldable mass, which is obtained from a mixture of fibrous materials with adhesives, starch, gypsum and etc. 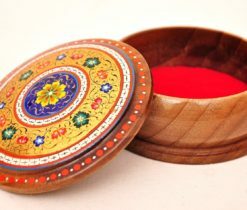 Jewellery box made of this mixture is light, easy to use and durable. 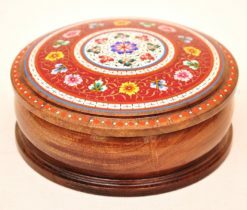 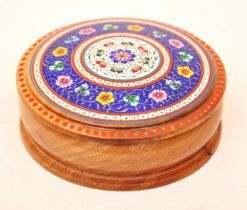 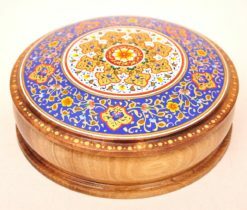 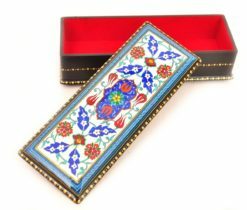 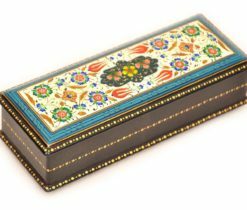 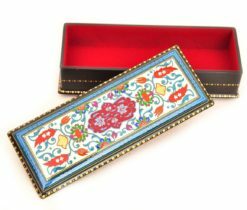 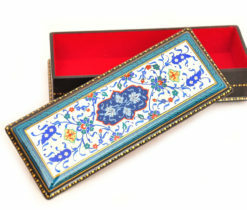 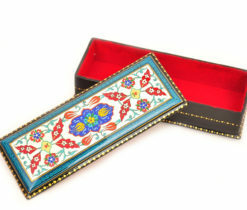 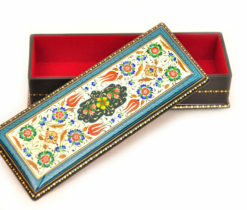 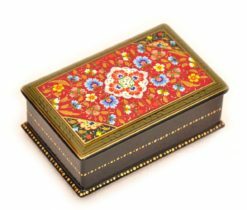 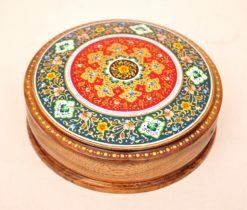 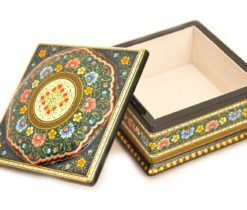 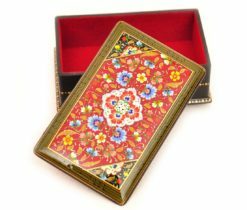 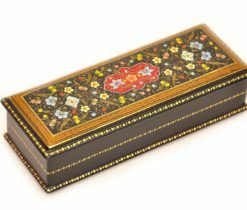 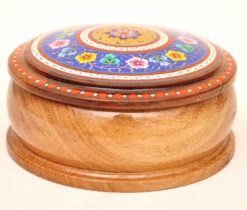 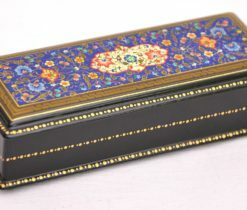 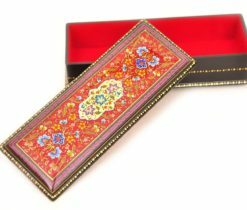 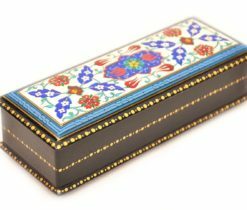 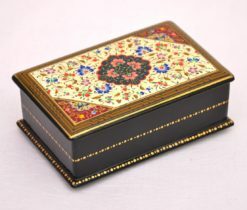 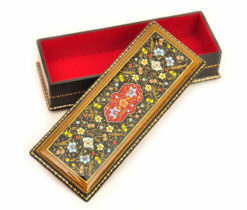 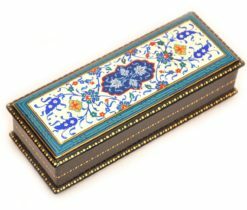 Hand painted jewellery boxes decorated with miniature and floral patterns have the form of a rectangle, square or circle. 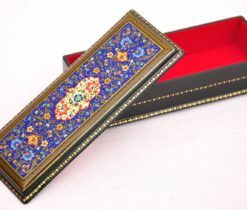 The inner part of the box is covered with soft and thin velvet fabric of various colors. 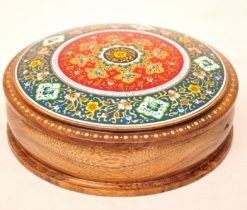 The same internal coating at the Lacquer box, which is topped with varnish, after which it becomes smooth and shiny. 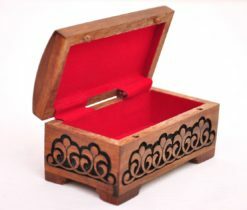 These boxes are very practical, without unnecessary clamps and fasteners and therefore easily opened and closed. 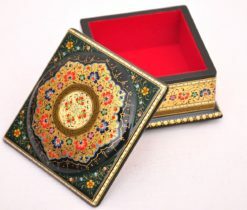 Filigree work of masters of this art will not leave any connoisseur of oriental products without attention. 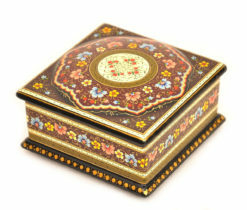 Each jewellery box is unique and does not repeat the pattern of the other. 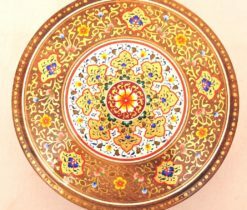 All small details of a floral ornament are drawn symmetrically and so beautifully that any painter would envy such craftsmanship of needlework. 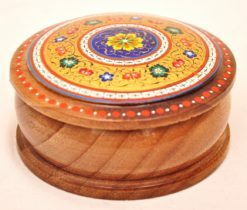 Hand painted wooden boxes will also draw your attention with their extraordinary and similarity with a large wooden chest, in which by tradition you could put your things for storage. 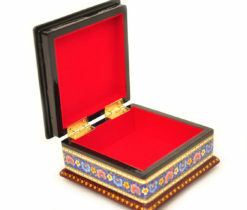 Only here this box looks like its mini prototype and it is possible to put jewelry and small items in it. 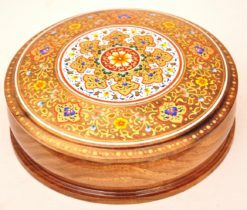 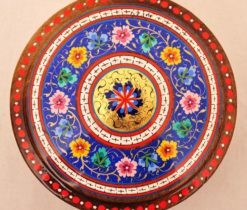 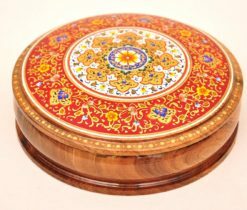 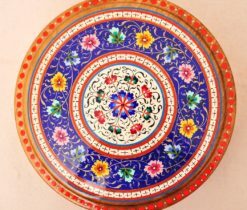 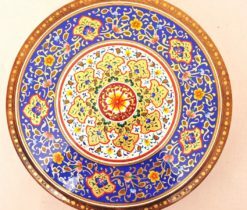 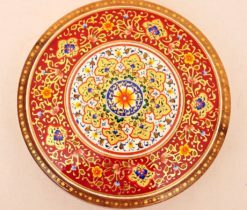 In our online-shop you will find round and rectangular wooden boxes carved in the style of Uzbek ornamental painting, and this painting has conquered the hearts of millions of people for centuries with its exclusiveness and uniqueness.